The ideal utensils for meals-in-a-bag. The handles telescope to store compactly in your pack. 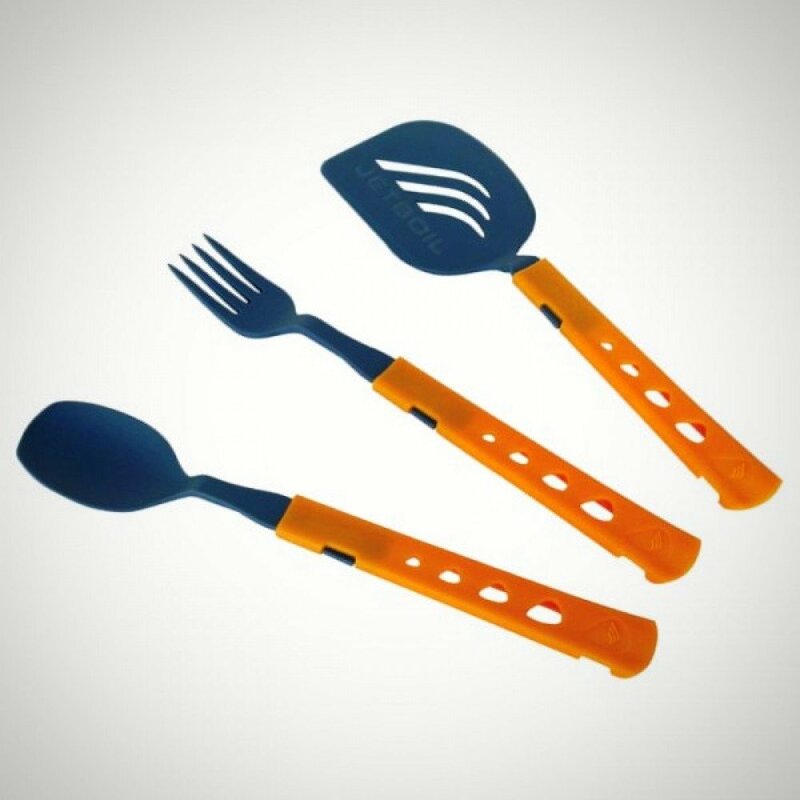 Jetset Utensil Kit includes a spoon, fork, and spatula. Lightweight and durable high-temperature nylon.